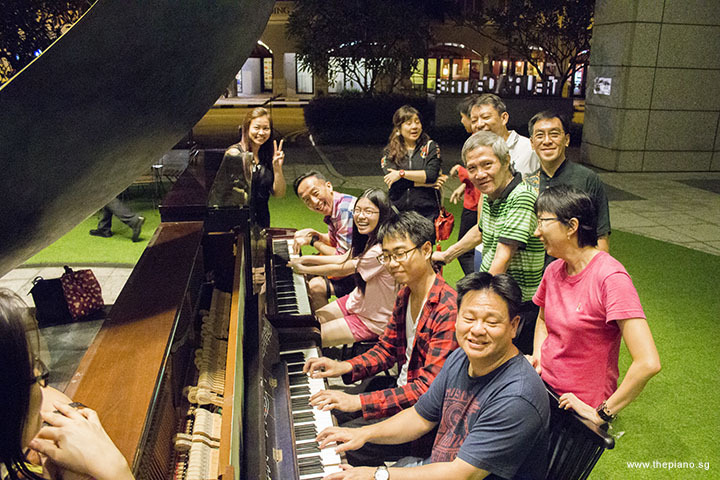 Pianovers Meetup #64, held on 30 Decmber 2017 at Fairy Point Chalet 5 in Changi, was a special meeting that marked the end of the Meetups series in 2017. Following a one-week break, the first Pianovers Meetup of 2018 arrived with much anticipation! 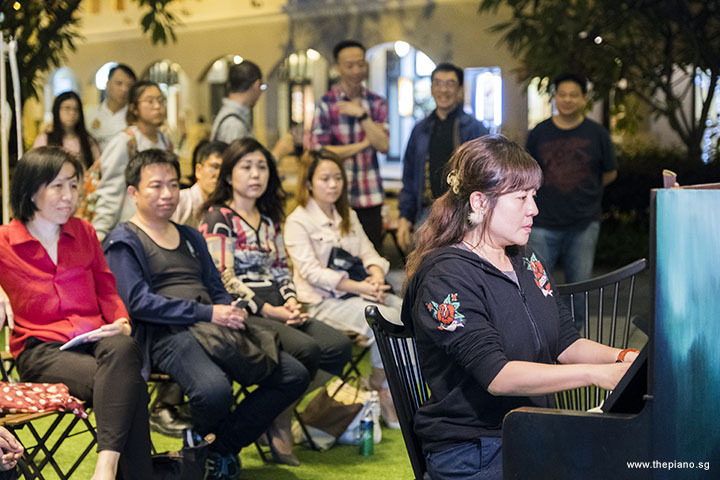 On 14 January 2018, a large group of passionate piano lovers converged on Piano Park @ URA Centre. Among those present were several familiar faces. 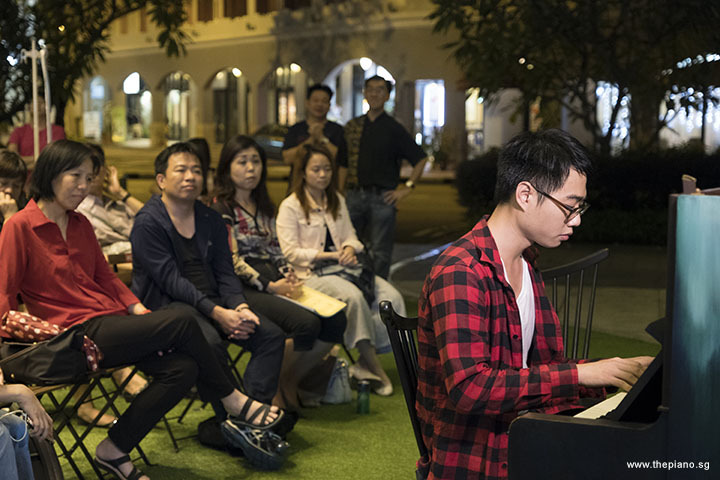 The event saw several regular Pianovers, people who had unfailingly arrived week after week the previous year. 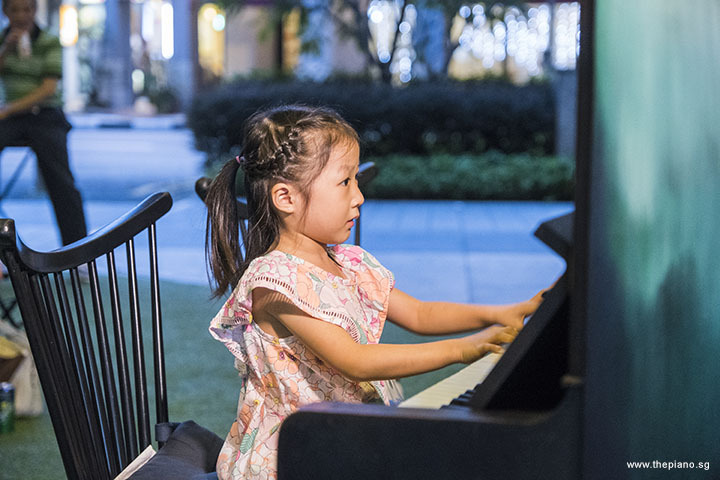 Although Pianovers come from all walks of life and have varying levels of experience and skills in piano-playing, they are all united in their love for the piano and piano music. 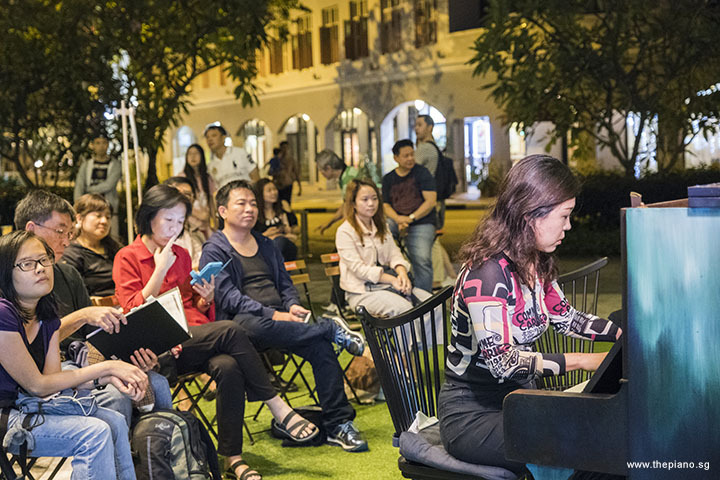 Indeed, bringing people together onto a common platform is what ThePiano.SG believes in. 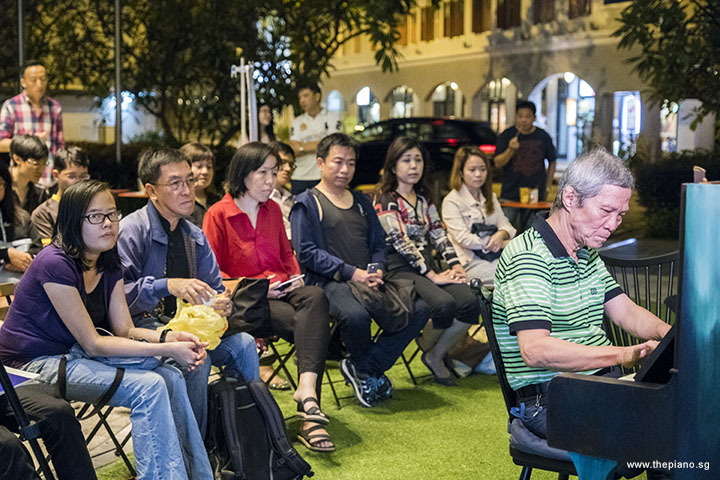 Through various activities, including our flagship weekly Pianovers Meetup, we offer ordinary piano lovers a platform on which to perform. 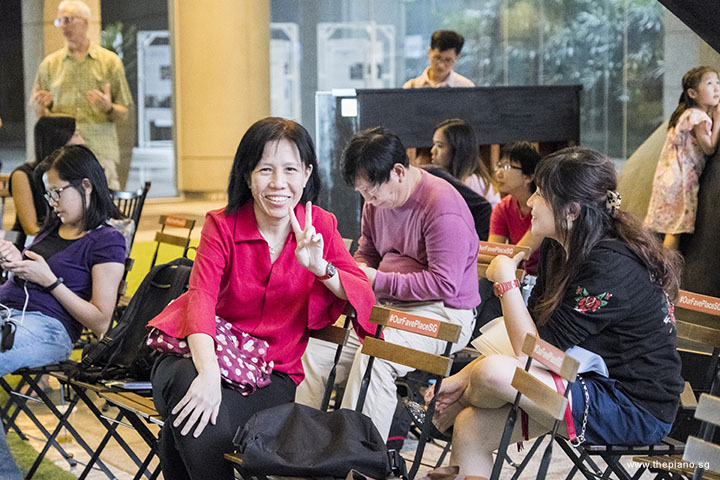 Not only have passionate Pianovers been attending the weekly gatherings, they have also brought along their families and friends, in a bid to introduce to them the wonderful world of music. 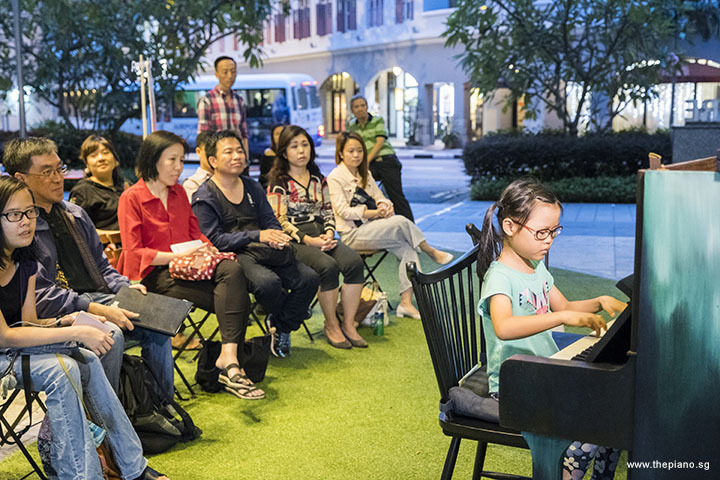 Even piano teachers have brought their students to the Meetups. The weekly session has proved to be a useful way to expose piano students to piano playing. Learning out of the classroom is an essential part of the musical journey and allows the students to learn from more experienced players. 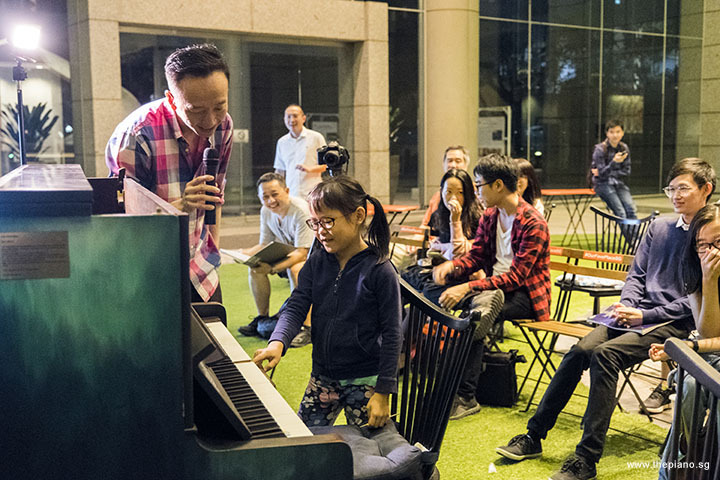 Pianovers Meetups has the added benefit of allowing the students to play in public, right in front of a “live” audience, thereby boosting their confidence. This evening, the Meetup started at 5pm with a group of early birds meeting for dinner. 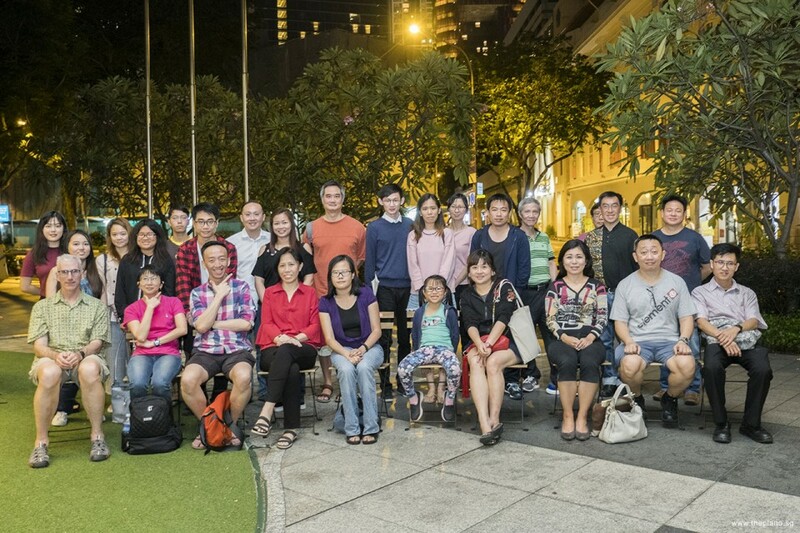 Together with ThePiano.SG Founder, Sng Yong Meng, Herman and Shirlene, Yukari, Lianne, Janne, Bing Shao and Gavin proceeded to Maxwell Food Centre for an early dinner. Having a meal together allows Pianovers to bond informally, before the Meetup proper gets underway. 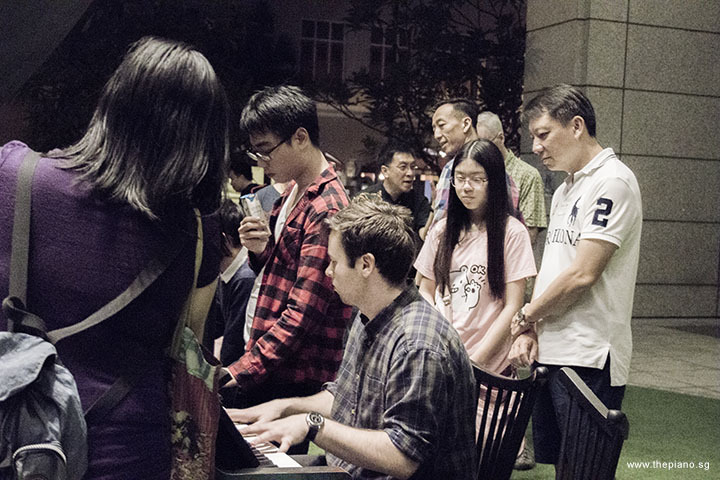 When dinner was over, the team proceeded back to The URA Centre, where they were joined by the rest of the Pianovers. So strong is the bond between Pianovers that members take the initiative to bring food for all to share. While Winny has been bringing her home-baked cakes and cookies - sometimes piano-themed ones! 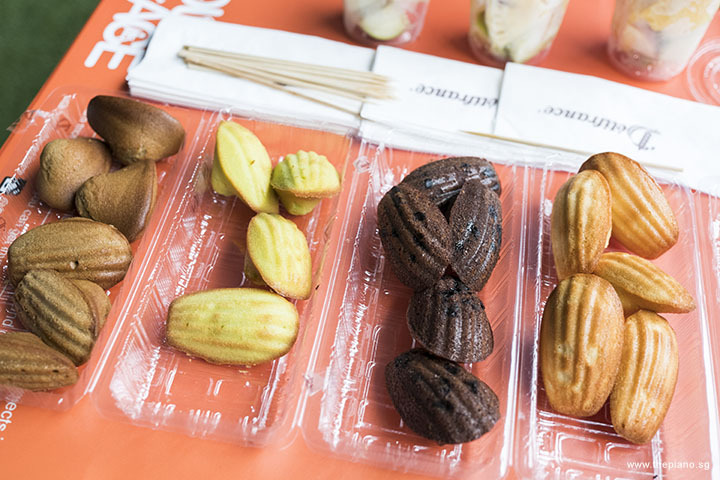 - for sharing, today, Elyn brought snacks from Delifance, as well as fruits. Thank you, Elyn! Pianovers appreciate your kind gesture! Pianovers usually start interacting before the Meetups begin. What happens is amazing. Pianovers share among each other tips and what they know about certain compositions. Some even jam on the pianos present. With such an open spirit of sharing, where people give and do not expect anything in return, it is no wonder Pianovers feel such a strong bond between themselves! This is something that cannot be fully described in words and has to be experienced in person. Soon, Yong Meng started the evening rolling by making two important announcements. Following the success of Pianovers Sailaway 2016, the well-loved event is returning! Yes, Pianovers Sailaway 2018 is coming our way! The inaugural event held in 2016 was a resounding success. It saw a group of some 40 people enjoy an evening out in the open sea, playing the four pianos on board a luxurious yacht (including two on the bridge! ), having a sumptuous dinner and networking, before witnessing the explosion of fireworks over Sentosa. 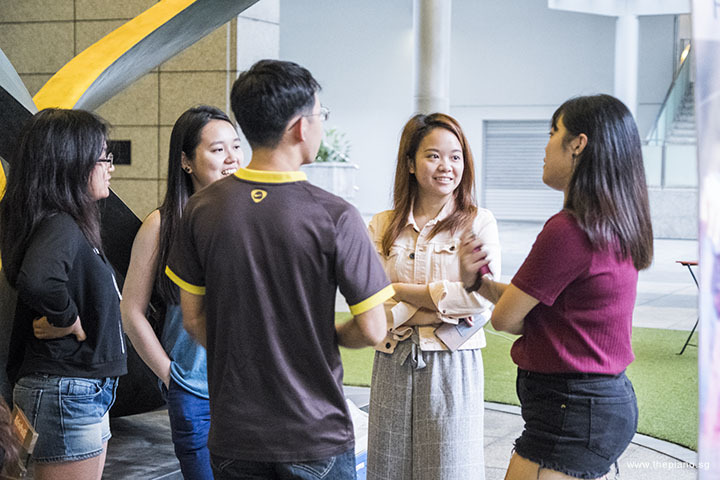 During the event, a drone was flying overhead at times, capturing the activities of the evening and joy on the faces of all those who were present. It was a very memorable event and we want to relive the memories this year. Watch out for our announcement! To add to the good news, ThePiano.SG’s Online Store is now open! 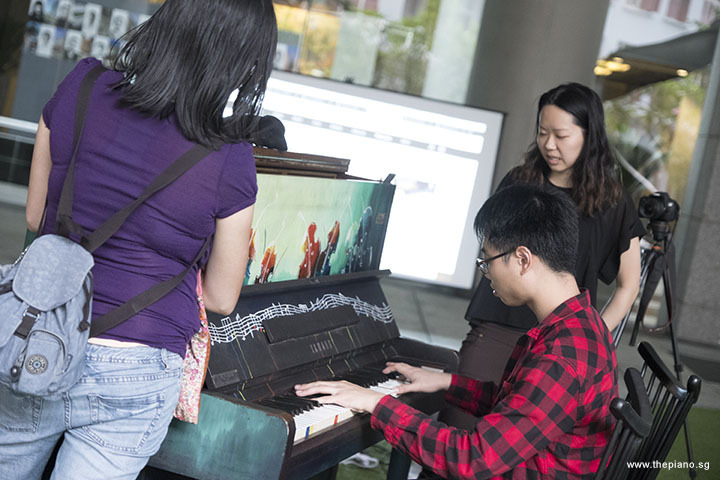 This is the latest initiative to have come from ThePiano.SG and will be attractive to those whose life is not complete without owning everyday items related to the piano! Pianovers will be delighted that we stock a wide range of knick-knacks, from stationery items to jewellery, from fashionwear to tableware! These items are suitable for one’s own use and as giving away as gifts! Pianover Rewards members get 10% off the prices! Announcements over, it was time to move to the most exciting segment of the evening, the Mini-Recital! We had a total of 13 performers today, and getting the ball rolling was Gwen. She played two pieces by Verdi. Gwen first played Grand March, and followed that with The Knight and the Lady. "Grand March" was from the opera "Aida". Among the other pieces by the same composer were "La donna è mobile" (Woman are Fickle) from the opera "Rigoletto", as well as "Va, Pensiero" (which means “Chorus of the Hebrew Slaves”) from the opera "Nabucco". To date, Verdi is still regarded as the greatest composer of Italy. Verdi died at the age of 87 and his funeral procession attracted 300,000 people. This illustrates the amount of respect that the people of Italy held for Verdi. That procession through the streets of Milan holds the record of being the the largest public assembly of any event in Italy, even up to today. Emma went up next to the piano. She played two pieces, Menuett in F by Mozart, followed by Perpetual Motion by Dennis Alexander. Alexander was considered one of the most popular composers of educational piano music in North America. He has been affiliated with Alfred Publishing Company since 1986 and has been actively composing on behalf of the company. Passionate about imparting his skills to piano learners, Alexander has co-authored an exciting piano method, aptly known as Alfred’s Premier Piano Course. He recently came up with six books, known as “5-Star Solos”. This collection comprises solos meant for students at the early elementary to intermediate levels. 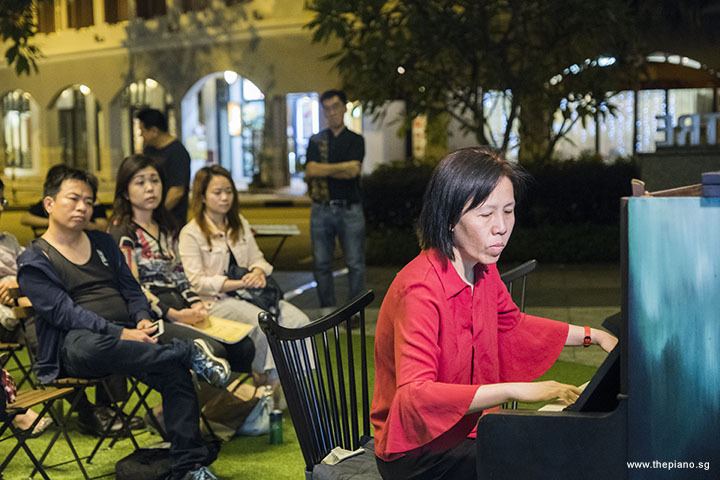 Siew Tin was next at the piano and played two pieces from 顾嘉辉. They were 楚留香 and 小李飞刀. Both songs were featured in swordfighting movies, which carried the same names. These movies were based on novels, both of which were written by the same person, known as Gu Long, a famous Taiwanese personality. During his lifetime, Gu Long had written several swordfighting novels and movies, such as 小李飛刀系列, 楚留香系列 , 陸小鳳系列 , 圓月彎刀 and 絕代雙驕. Due to the pupularity of such novels among the Taiwanese public, many of the novels Gu Long wrote were adapted into films and television series. Teik Lee, one of our regular Pianovers, did something different today. He asked one Pianover from the floor to come up for a special activity. Emma volunteered and was asked to play a few notes of her choice. Teik Lee then improvised on the spot a piece using the sequence of notes Emma gave. He repeated this activity with another Pianover. This time, Tanwei went up and her notes were improvised too. 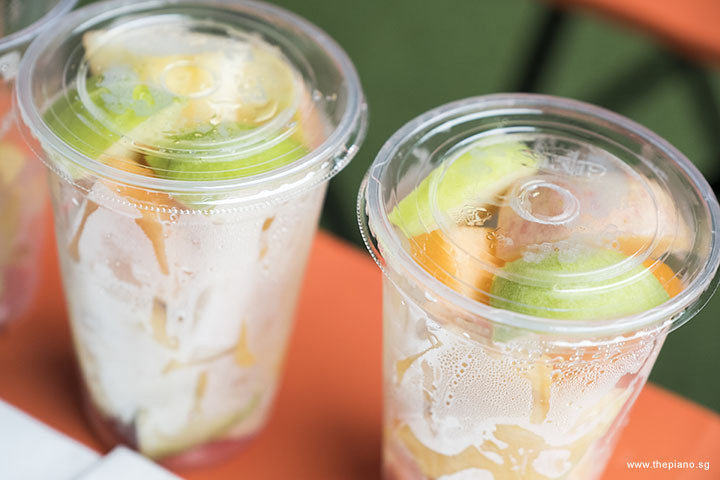 Teik Lee’s activity was interesting, as he had thought of something innovative to break away from the usual performance. Next, Jia Hui played Ave Maria by Schubert. Schubert wrote a song which he named Ellen’s Third Song, as part of Op.52. This song had among the words “Ave Maria” in the opening sequence. Due to the common words with the Catholic prayer named Ave Maria, the melody of this song was adapted to fit that prayer. Over time, the melody became so intertwined with the Latin version of this prayer that people started to have the misconception that Schubert had written the melody for this prayer! 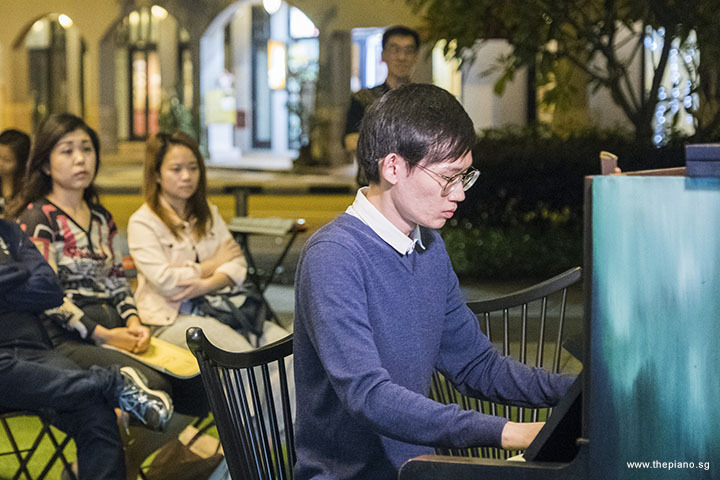 Albert played two pieces, 苦情花 and 梅花 by 刘家昌. 梅花 was the theme song of a movie which bore the same title. Incidentally, 梅花, the plum flower, is the national flower of Taiwan. Known for blooming with vibrancy even during the cold of winter, the plum blossoms have now become a symbol of resilience and perseverance. The plum tree may be known for its longevity too. Surprisingly, there is one such tree in Huangmei county (Yellow Mei) in Hubei, China, that is 1,600 years and still flowering up till today! Gavin performed Rhapsody on a Theme of Paganini, Variation 17, and Variation 18 by Rachmaninoff. There are a total of 24 variations on the twenty-fourth and last of Niccolò Paganini's Caprices for solo violin. All of them are in A minor, unless otherwise stated. The 24th variation is known to be difficult to play. Back when Rachmaninoff was scheduled to play the Rhapsody during the world premier, he downed a glass of crème de menthe to calm himself. The performance turned out to be a success. Rachmaninoff subsequently did the same for each performance, leading him to give the twenty-fourth the nickname "Crème de Menthe Variation". Chong Kee played Etude Op. 29, No. 5, "Le poète" by Bortkiewicz. "Le poète" means to be played by the left hand only and Op. 29 is a compilation of 12 Etudes. Here is some background about the composer. Bortkiewicz was a grand student of the famous composer Liszt and lived for 75 years. 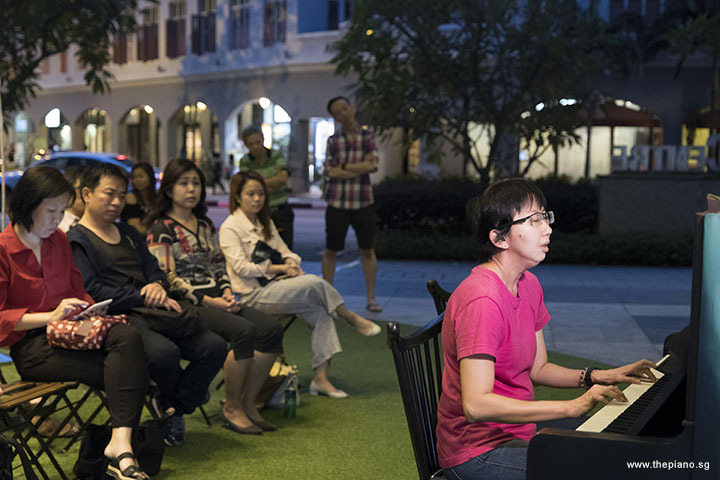 Our Pianover, Chong Kee, previously played a piece that also uses only the left hand in Meetup #59, which happened in mid-November 2017. He was doing so again the second time this evening. Herman played Tale As Old As Time by Alan Menken. This piece was the theme song from the movie "Beauty and the Beast", the Disney animation film recounting the relationship between its two main characters, Belle and the Beast. Initially very different, they come together against all odds, learn to change each other for the better, and share a life together. The famous piece is played during the ballroom sequence and the lyrics allude to the timeless nature of love. "Tale As Old As Time" was ranked #62 in the American Film Institute list of the top 100 songs. 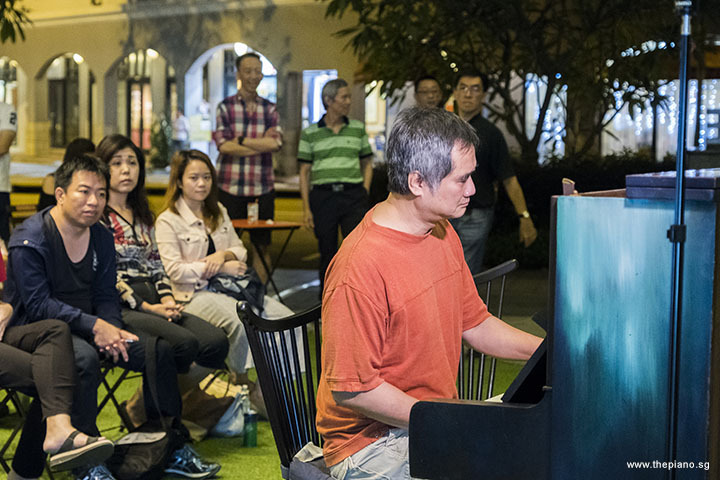 Yong Meng believes that this kind of love can also be found in ThePiano.SG’s community. There is a wide diversity of people in the community - from young to old, with very different backgrounds. Even the genres of songs we play are also very different. However, we can still come together, against all odds, and walk on this learning journey together because of our common love and passion for the piano. Let us hope that Pianovers’ bond will be as timeless as love! May Ling played Canon in D by Pachelbel. Canon in D was used by a piano store in Morioka-shi in Iwate Prefecture, Japan in its television commercial. In the marriage-themed advertisement, the outflow of emotions was evident as a father played Canon in D at her daughter’s wedding reception. This certainly tugged at the heartstrings of viewers! 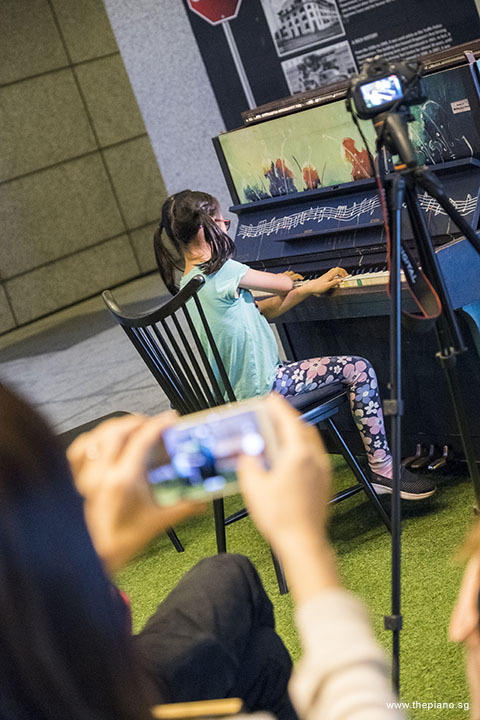 Bing Shao played a medley of several pieces by various composers, namely "Canon in D", "Marriage d'Amour", "River Flows in You", "Kiss the Rain" and "Song from a Secret Garden". "Mariage d’Amour", made popular by pianist Richard Clayderman, was written in 1978 by Paul de Senneville. It was intended to be part of the 1979 album "Lettre à ma Mère". As this piece was assumed to be associated with a wedding, it was puzzling that the key used was a minor key. ThePiano.SG had the opportunity to clarify this matter with Clayderman’s team. Chris went up to the piano next and played Besame Mucho by Mexican songwriter Consuelo Velázquez. The title means "Kiss me a lot”. Composed in 1940, this is a very famous bolero (a genre of slow-tempo Latin music and dance). It has since been deemed as one of the most sung and recorded Mexican song globally. Velázquez wrote this song even though she had never been kissed by that time, and she even heard that kissing was a sin! Yukari, a newcomer to Pianovers Meetups, played Nocturne Op. 9 No. 2 by Chopin. Nocturnes Op. 9 is a series of 3 nocturnes – compositions inspired by the night – that Chopin had dedicated to Madame Camille Pleyel. Op. 9 No. 2 was composed when he was 20, and is regarded as his most well-known piece. 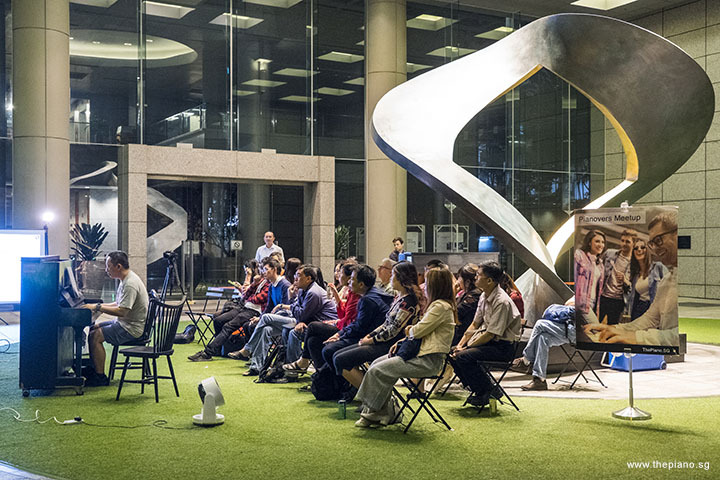 Following the end of the Mini-Recital, the evening moved into the Open Segment. This is another segment that is looked forward to by all Pianovers. 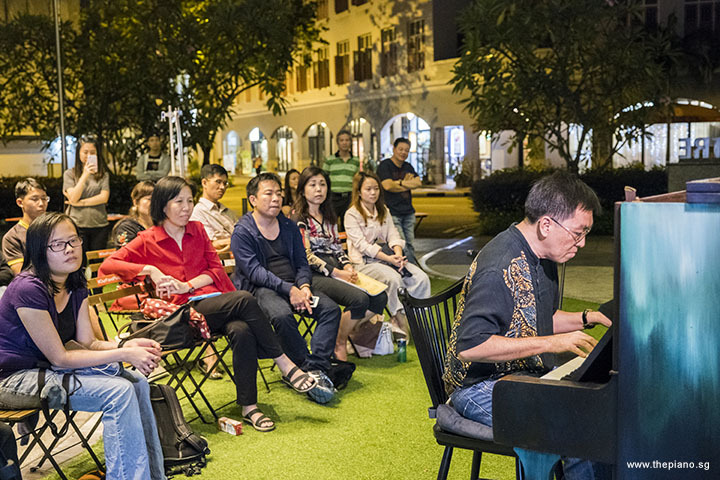 During this time, Pianovers are free to jam on the pianos and interact freely. 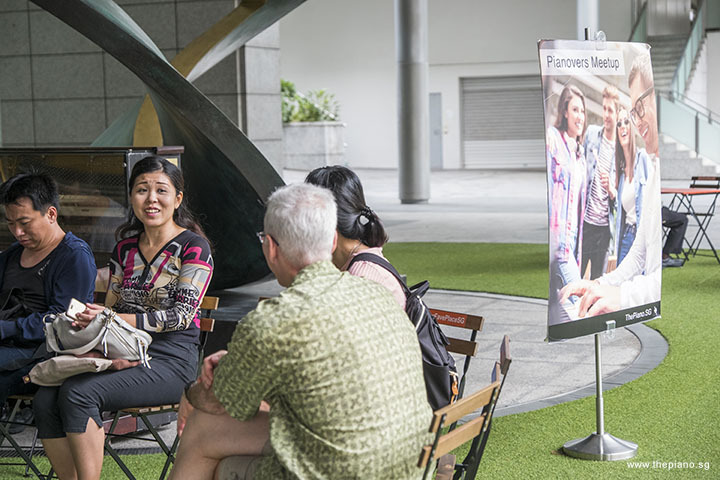 Experienced pianists share freely with novice pianists and there is usually lots of education going on! The highlight of the Open Segment tonight must have been the eight-hands play at the piano. Four Pianovers actually shared a piano as they played a common piece! All too soon, Pianovers Meetup #65 had to come to an end. It had been an evening of fun and laughter, not to mention lots of learning and sharing! As a result, all of us were sad to part. However, we are all very much looking forward to Meetup #66. See you again this Sunday!